Choosing a home remodeling contractor isn’t a process to take lightly. This is an important responsibility and you don’t want to entrust it to just anyone. To help identify the best contractor for your job, you need to make sure you are asking the right questions. – What time will you be here each morning? – Can you finish this project by (insert major holiday or big event)? – What time will you quit every day? 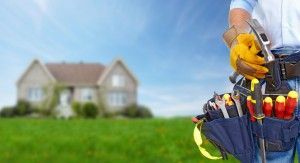 While all of these things are nice bits of information to have, they aren’t the truly important details you should want to know first from a contractor you are considering hiring to work on your property. Instead, you should start with questions about information that’s much more critical. Before you even get into things like timeline and budget, you want to try and determine if this is someone with whom you would want to do business at all. So you need to ask questions that will help you determine whether they are reliable, honest and trustworthy. This helps you weed out the shady and unreliable contractors that will waste your time—and possibly your money. – Why will be assigned as the project supervisor for this job? – Who will actually perform the work—are they employees or subcontractors? – Do you have proof of your insurance coverage, plus any required licenses or permits? – Can you provide examples of similar projects you have completed recently? Once the contractor answers all of these high-priority questions and addresses your concerns to your satisfaction, you can then proceed to the nitty gritty details about the day-to-day routine of the job site. RW Remodeling understands how important it is for you to pick the right Scottsdale home remodeling contractor, and we are eager to answer any questions you may have—and would also be happy to provide proof of our experience and credentials.